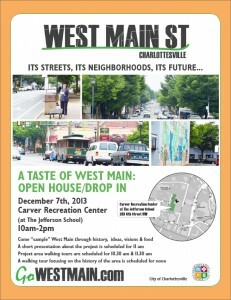 Thanks for attending the December 7th ‘Taste of West Main’ Open House. We look forward to seeing you again in February. Stay tuned for updates! This entry was posted in Latest News on November 19, 2013 by admin.